Oh man do I have a treat for you today. You guys know about my love for homemade almond butter and dates. It is unparalleled. I ran out of almond butter in about a week (yet again), so yesterday as I was making more I decided to tweak the recipe a bit. 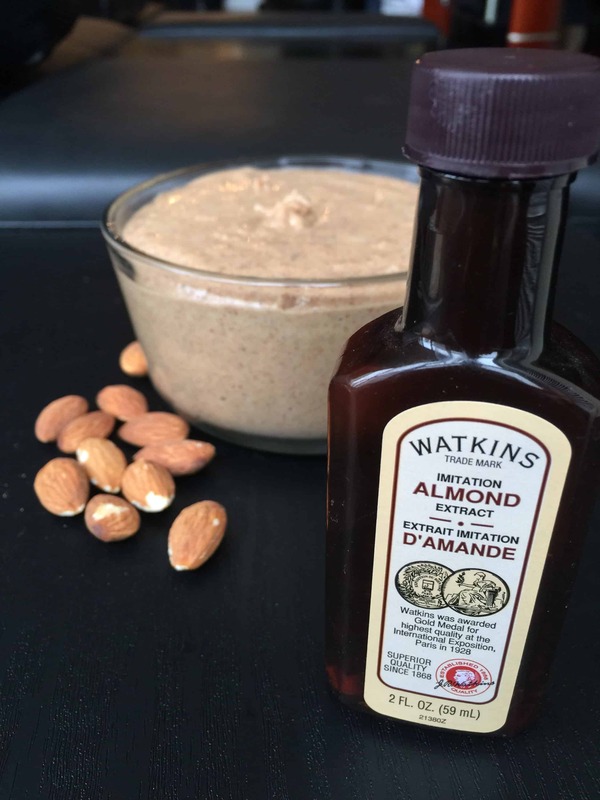 This amaretto almond butter has slight hints of maple to compliment the amaretto flavor and I would be surprised if it lasts less than a week for you too. 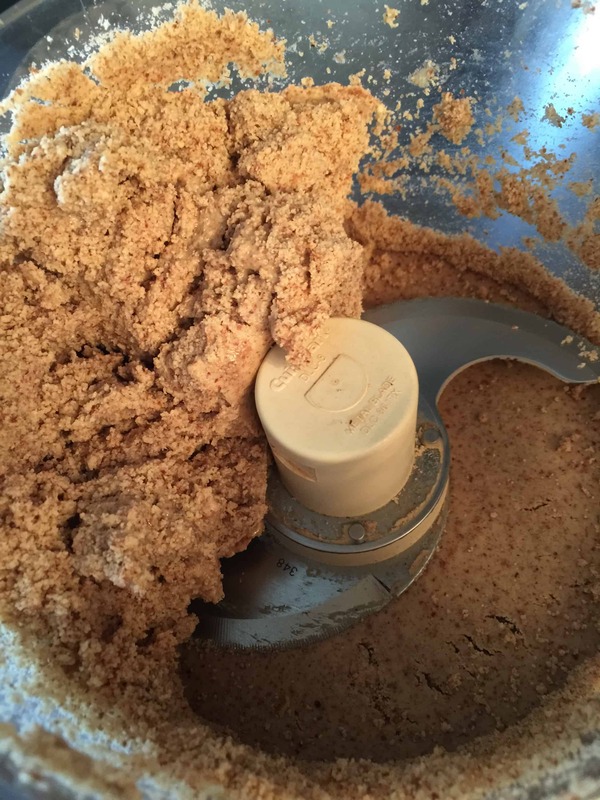 I have made so many nut butters in the past couple years. While living in VA I was also selling them on the side and got grand ideas of starting a nut butter business. Things have changed around a bit since moving to Chicago, but my love for almond butter will always follow me no matter where I live. 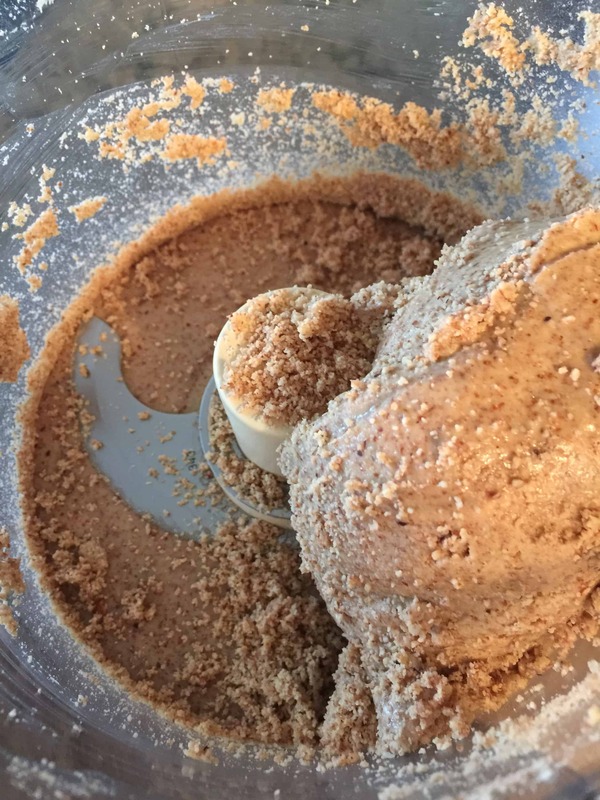 After spending 2 hours trying to make almond butter in my Vitamix and being unable to do so without the addition of oil, I realized I needed a food processor in my life. I still don’t think I have used it for anything except nut butters. Is that weird? The key to making almond butter is patience. I should probably include that as an ingredient. 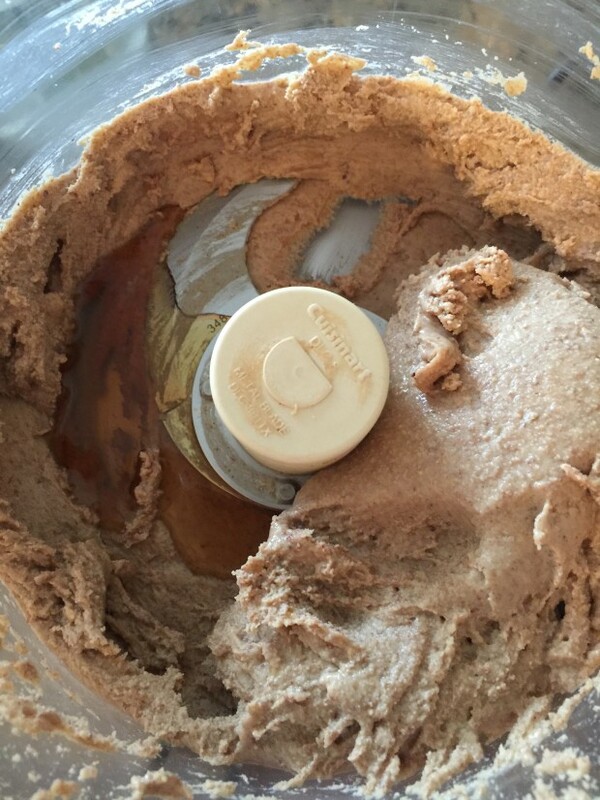 Almond butter takes around 20-30 minutes to make and most people stop before the oils are released from the almonds and they are watching a giant ball of almonds roll around and around in the processor. I promise it will work. If you leave it it will come. I’ve found the best thing for me to do is turn on the processor and walk away. I’ve gotten used to the change in sound when it is ready, but for those of you who don’t make it as obsessively as I do, you may want to check it periodically to see how it is progressing. Once you add any liquid ingredients, the butter will solidify back into ball form. No worries, just let the processor run as before and eventually you will be left with a warm, delicious spread for anything from oatmeal to sandwiches to the best dipping choice around. 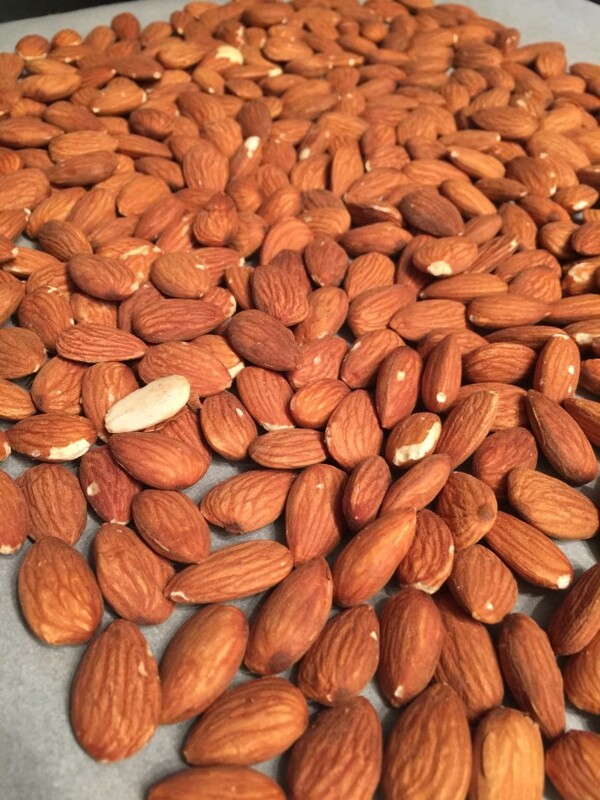 Line a baking sheet with parchment paper and spread the almonds out in one layer. 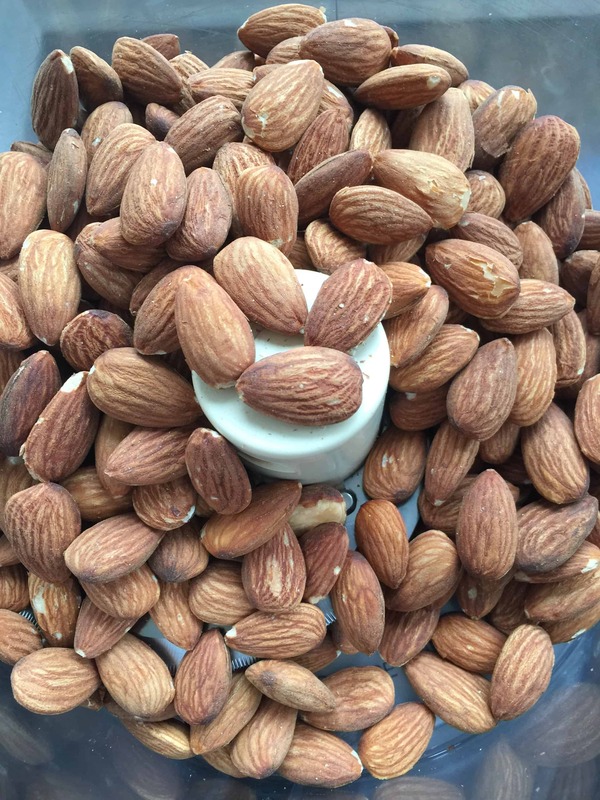 Roast almonds for 9-11 minutes. Let the almonds cool approx. 5-10 min, then transfer them to the food processor. 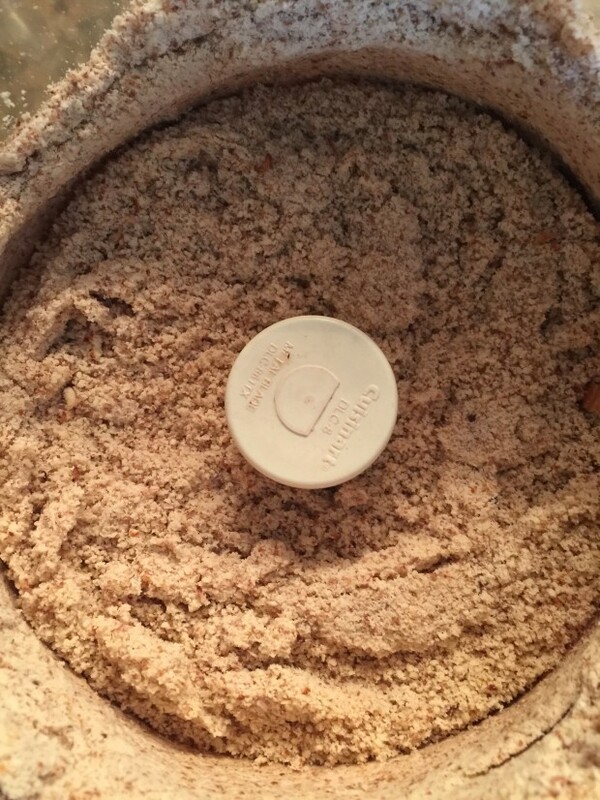 Turn processor on and add salt. Stop and scrape down the sides periodically. Let the processor run until the oils have been released and the butter has smoothed out (~15 min). Add maple syrup and almond extract. The addition of liquids will cause the butter to form into a ball again, but let the processor run until the butter has reached your desired consistency (~10-15 min). I was thinking about starting a series on different nut butter combinations and flavors, so if that is something you would like to see please let me know in the comments section. Also, share with me any flavor ideas you may have and I’ll try to share them with you on here! Postscript: Yesterday was Neil’s birthday and I totally forgot to give him a shout out on here. Send him some love! 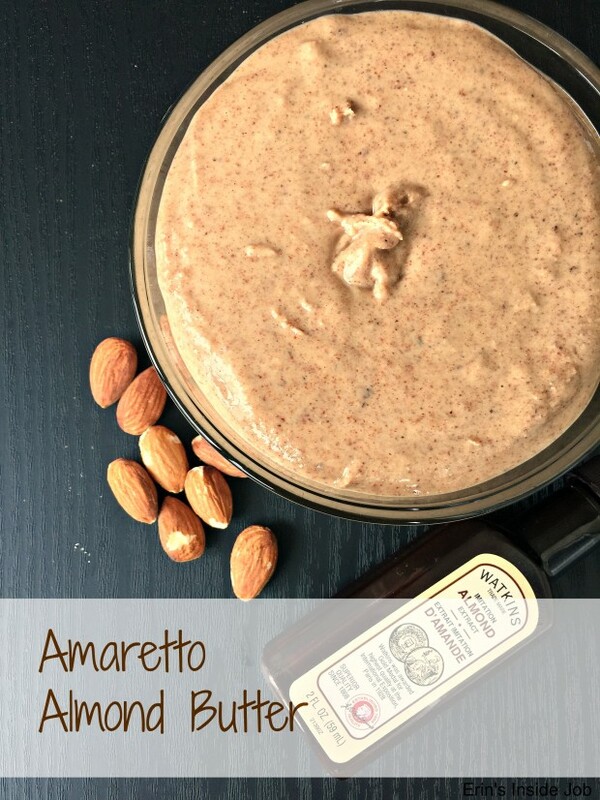 Make your own oil-free amaretto #almond butter at home! What’s your favorite nut butter? Peanut? Almond? Cashew? Others I am forgetting? What flavor ideas do you have? I love that you know the change in sound 😀 LIke your own little egg timer. I adore cashew butter and sunflower seed butter. Those are probably my favorite. I want to know how they do whipped pb, too–I guess you make it and then just put it in the kitchen aid? 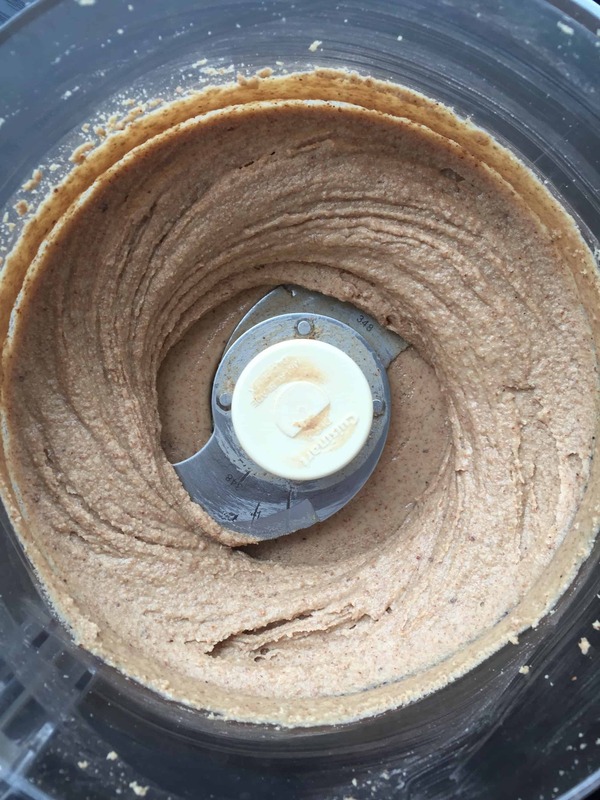 I have been making my own single serving nut butter lately (can’t have more than that at my leisure ha). I love making it with sunflower seeds or walnuts. Sometimes I’ll add cinnamon and or vanilla! Sounds awesome! We should have a nut butter swap! Yummmmmm, this sounds SOO amazing! I love anything amaretto flavored, so I’m ALL about this!! I’ve still never actually tried to make my own almond butter, but I really need to get on that. You always make it look and sound so easy!! But I would definitely love to hear more about the different flavor combos that you have tried!! It’s super easy! Let me know if you try it! I love peanut butter!! Almond butter is yummy, too, but expensive at the store. Unlessss I make this recipe 😉 thanks for sharing!